Westerville, OH—Please join the Otterbein Wind Ensemble for a program titled “Tapestries” at 8 p.m. on Wednesday, Nov. 28, in Riley Auditorium at the Battelle Fine Arts Center, 170 W. Park Street. Admission is free and open to the public. Under the direction of Michael Yonchak, the Wind Ensemble will feature a wide range of contemporary works for chamber winds, with pieces written by Shelley Hanson, Daniel Kallman, Lane Weaver, and more. Of special note in this program is a performance of “Tres Sonetos” by Silvestre Revueltas in combination with poetry by Carlos Pellicer, read by Assistant Professor of Spanish, Kristina Escondo. Fall Bird Walk. Saturday, November 24, 8 a.m. See what the birds are flitting about in the parks during fall migration during this walk with staff. All skill levels are welcome and loaner binoculars will be available. Free, all ages. Shale Hollow Park, 6320 Artesian Run, Delaware. Bored? Check out these Board Games! Saturday, November 24, 1 p.m. How did farm families of the past spend their newfound idle time? A variety of board games were available. Come to the farm for the afternoon and check out the games that were invented to distract from the tough times of the Great Depression, such as Monopoly and Scrabble. Free; all ages. Gallant Farm, 2150 Buttermilk Hill Road. Westerville, OH—The jazz ensembles at Otterbein University will perform their Holiday Showcase Concert at 8 p.m. on Friday, Nov. 30, in Riley Auditorium at the Battelle Fine Arts Center, 170 W. Park Street. This event is free and open to the public. The ensembles include the Otterbein University Jazz Ensemble, the Neel Combo, and the pop and jazz a cappella choir Opus One. A wide variety of styles will be performed, from classic holiday carols and jazz standards, to Vince Guaraldi favorites and selections from the Nutcracker Suite, to a high-energy, choreographed a cappella arrangement of “Love Shack” by the B-52s, and John Tavener’s choral classic “The Lamb” adapted for jazz combo. More information about the Otterbein University Department of Music and its concert schedule can be found at http://www.otterbein.edu/music. For more information about this event, visit https://www.facebook.com/events/284776662378729/. • Saturday December 1-30, Yesterday’s Toys Display. See a variety of vintage toys and learn their interesting history during this month-long interactive exhibit. The exhibit will be open during regular farm hours, Thursday-Sunday noon-5 p.m., and is open to all ages. Gallant Farm, 2150 Buttermilk Hill Road. • Saturday, December 1, 3-7 p.m. Winter Evening on the Farm. Join us for old-fashioned winter fun at Gallant Farm! Participate in seasonal activities that farm families enjoyed in years past like live music, roasting chestnuts, sipping hot wassail and sampling homemade cookies! Drop in early and stay throughout the evening. Free, all ages. Gallant Farm, 2150 Buttermilk Hill Road. • Sunday, December 2, 1 p.m. Taking Rocks for Granite. Experiment with different kinds of rocks, and find out if rocks really do last forever. Visitors will learn where to find Ohio rocks, how they got there and how they affect the landscape. Then we’ll go for a short walk to look at the rocks of Shale Hollow Park. Free, ages 5+. Shale Hollow Park, 6320 Artesian Run, Lewis Center. • Friday, December 7, 6:30 p.m. Owl Prowl. Owls are designed perfectly for the night, but what makes them so unique? Join a naturalist on this night as we call for owls and learn how they survive in the darkness. Gallant Woods Park, 2151 Buttermilk Hill Road. 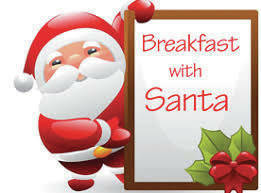 Breakfast with Santa at Sunbury United Methodist Church! 2018 Christmas on the Square! The City of Powell is hosting the annual Holidays in Powell event from 2-5:30 p.m. Saturday, Dec. 1, 2018 in the Municipal Building Council Chambers & East Room, 47 Hall Street. Admission to the event is free and includes crafts, story time with the Delaware County District Library, a special animal visitor from the Columbus Zoo & Aquarium (2:30-3:30 p.m.) and photos with Santa and Mrs. Claus. Guests must in line by 5 p.m. to visit with Santa Claus. Join Santa Claus, Mrs. Claus and Mayor Brian Lorenz at 6 p.m. in Village Green Park as they illuminate the City’s Christmas Tree. Activities: Ornaments – Powell Kiwanis Club; Complimentary Hot Chocolate & Coffee – Olentangy Rotary Club; Story time with the Powell Library – Delaware County District Library; Special Animal Visitor – Columbus Zoo & Aquarium; Craft – Living Hope Church; Letters to Santa Claus – Powell Parks & Recreation; Caroling & Music – Village Academy. Parking at City of Powell Municipal Building Lot (47 Hall Street) or Downtown Powell Public Parking Spaces. Thank you to our community partners Mount Carmel Health, Technicare, Comfort Xpress LLC, Recreations Outlet, Goldfish Swim School, Auto Assets, KEMBA Financial Credit Union, Giant Eagle and Amber Elizabeth Photography for making this event possible. The Delaware County Veterans Association (DCVA) Honor Guard has selected Sunday December 2, 2018 to honor those who lost their lives in the bombing of Pearl Harbor 77 years ago. Early Sunday morning December 7, 1941 Japanese Navy pilots launched a surprise attack on the United States Navy’s base in Pearl Harbor, Hawaii destroying four battleships and damaging several others, as well as destroying many other smaller vessels. In addition almost 200 aircraft were destroyed and many others damaged. Over 2400 United States Servicemen were killed and over 1200 were wounded. President Franklin D. Roosevelt declared war on Japan and this marked the involvement of the United States in World War ll. Historically each year the Veterans of Delaware County have held a brief ceremony on or near December 7 to honor their fellow servicemen who made the ultimate sacrifice to protect our country and our way of life. The Winter Street Bridge in Delaware will be the site of this year’s event. In order to accommodate more people the ceremony will again take place at 12:45 PM. At 12:55 PM local W.W. ll Navy Veteran, Ross Carlson will help launch a wreath into the Olentangy River, followed by an M1 Garand Rifle Salute and the sounding of Taps. The time is selected to coincide with the exact time of the day at Pearl Harbor of the beginning of the attack in Hawaii [7:55 AM]. Commander of the Delaware County Veterans Association, Gene Fuller stated that due to expected cold weather and the age of many of the Veterans who attend, the ceremony will last no longer than 15 minutes. The DCVA is hopeful for a good turnout to honor the survivors and their families, and pay their respect to those who were lost. The Westerville Symphony at Otterbein University presents its annual holiday favorite: The Sounds of the Season concert. The performance takes place on Sunday, December 9, 2018 at 5 pm at the Fritsche Theater in Cowan Hall at Otterbein University. The program includes a Christmas Sing-a-Long, the annual favorite of Leroy Anderson’s Sleigh Ride and the beautiful Prelude from Engelbert Humperdinck’s opera Hansel and Gretel. The orchestra will also play Irving Berlin’s iconic White Christmas, Mel Torme’s The Christmas Song and a gorgeous setting of Franz Gruber’s Silent Night. Favorite annual movies and shows are featured in the selections of Christmas on Broadway, A Charlie Brown Christmas and the Concert Suite from the Polar Express. In addition is the Trans-Siberian Orchestra’s rendition of the Nutcracker in their Mad Russian’s Christmas. Since the concert is at 5 pm, patrons can walk and enjoy a holiday dinner at one of the many wonderful restaurants in beautiful Uptown Westerville before or after the performance. Tickets are available on-line at westervillesymphony,org and can also be purchased at the door. Oct. 18-Dec. 13 – “Culinary Roots/Migratory Routes,” using art related to food production and consumption to present narratives of nation, migration, and labor, at the Richard M. Ross Art Museum, 60 S. Sandusky St., Delaware. The artworks showcase food as a force that creates, dissolves, and reforms communities as immigrants both preserve and lose the taste of home. Presented as part of the 2018-2019 Sagan National Colloquium*, the exhibit is curated by Nancy Comorau, Ph.D., associate professor of English, and student curatorial-assistant Anna Davies, a senior from St. Clairsville, Ohio. The exhibit includes pieces from the Ross’s permanent collection and loans from artists, The Ohio State University Libraries, Columbus Museum of Art, and Pizzuti Galleries. On Oct. 25, the public is invited to a curator-led tour at 4 p.m. and reception from 4:30 p.m. to 6 p.m. During the academic year, the Ross is open Tuesday, Wednesday, and Friday from 10 a.m. to 5 p.m.; Thursday from 10 a.m. to 9 p.m.; and Sunday from 1 p.m. to 5 p.m. The museum is handicap-accessible and admission is always free. Call (740) 368-3606 or visit www.owu.edu/ross for more information. Oct. 18-Dec. 13 – “Double Take: Ambiguity in the Photograph,” featuring images in which the expectation of a photograph’s accuracy conflicts with its ambiguity, at the Richard M. Ross Art Museum, 60 S. Sandusky St., Delaware. Photographs became a ubiquitous form of documentation because they created accurate and detailed reproductions of life. However, the detail of these images frequently belies their ability to fully explain a situation, an experience, or a story. The exhibit is curated by Jeff Nilan, professor of photography. On Oct. 25, the public is invited to a curator-led tour at 4 p.m. and reception from 4:30 p.m. to 6 p.m. During the academic year, the Ross is open Tuesday, Wednesday, and Friday from 10 a.m. to 5 p.m.; Thursday from 10 a.m. to 9 p.m.; and Sunday from 1 p.m. to 5 p.m. The museum is handicap-accessible and admission is always free. Call (740) 368-3606 or visit www.owu.edu/ross for more information. Through Dec. 15 – “Stateless,” featuring works by documentary photographer Tariq Tarey, in Gallery 2001 inside Ohio Wesleyan’s Beeghly Library, 43 Rowland Ave., Delaware. A stateless person, under national law, does not enjoy citizenship in any country. In his work, Tarey seeks to capture the “self-defined truth that was worth the sacrifice of leaving their home countries.” Learn more at www.tariqtarey.com. “Stateless” is presented as part of the 2018-2019 Sagan National Colloquium*. Gallery 2001’s hours coincide with Beeghly Library hours, available online at www.owu.edu/library. Admission is free. Learn more about Ohio Wesleyan’s Ross Art Museum and satellite galleries at www.owu.edu/ross. St. John Neumann Catholic Church in Sunbury invites all those in the community to join attend a weekly community lunch every Wednesday at 11:30 a.m. in the lower level of the Parish Office, Rooms 4 & 5. This is a time for fellowship, to get to know neighbors, and to enjoy a delicious lunch. There is no charge – all are welcome. St. John Neumann is located at 9633 E. State Route 37 in Sunbury. Please contact the Parish Office with any questions, 740-965-1358. Information for this story was provided by the Sunbury/Big Walnut Area Chamber of Commerce.